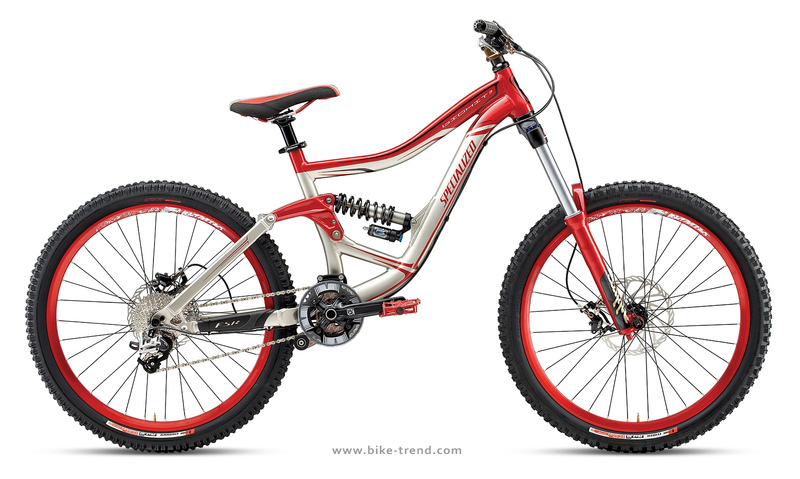 If you have a limited budget for the purchase of professional downhill bike, but your needs are insisting on excellent quality and superb fighting ability on the track, the Big Hit of the line of 2010 model year is your choice! In this price range from $ 2000 – $ 2800 is hard to find a more competitive model of the DH bike. Completely new Bighit! Easier, smarter and more beautiful than its predecessor! 190mm plush travel and conservative center of gravity make this bike one of the best in its class. Some riders need a pure adrenaline, using all his skill to master new levels of riding, and always looking for thrills, proportional to the complexity of the route traversed. Others like to rush downhill competition and speed, when the landscape blends for the rider in one color band. The steep jumps, multimeter spans, the obstacles that threaten to be a disaster – it requires the bike steady and calm management, extreme stability and perfect operation of the most advanced suspension. Bighit bike specifically designed for these styles of riding and tested in the arena of the Red Bull Rampage to the park and Whistler. Specialized bike is really in its price range accessible to many groups. I seduced him such advantages – stability, landing and operation of the suspension. I think that many have a desire to get this miracle of technology.